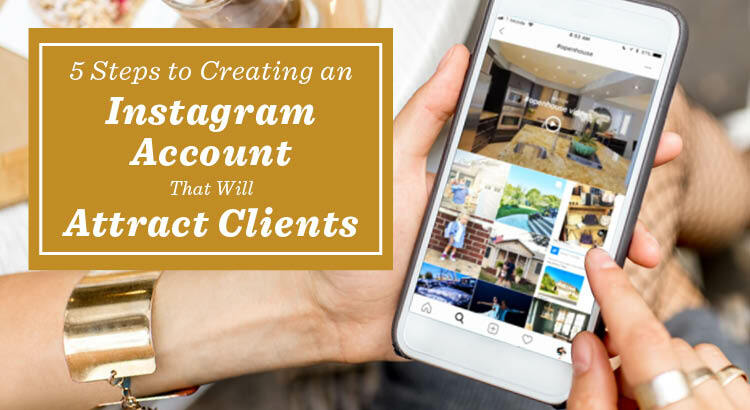 Are you using the power of Instagram to attract qualified clients and leads, or are you relying on MLS listings and your website to take care of that for you? If you or your team of brokers are not active on Instagram, then you’re missing out on a great opportunity. After reading this blog you’ll understand why it’s beneficial for every agent to have an Instagram presence, and how you can build a profile that will enhance your brand and attract leads. Even if you have a personal Instagram account, you need to create one for your professional self. Your personal and professional Instagram accounts should be separate. Your professional Instagram account shouldn’t contain pics of your trip to Cancun or your Sunday tailgate at the Bears game, for example. You wouldn’t post that content to your business’s website, and you shouldn’t do so on your Instagram business page either. 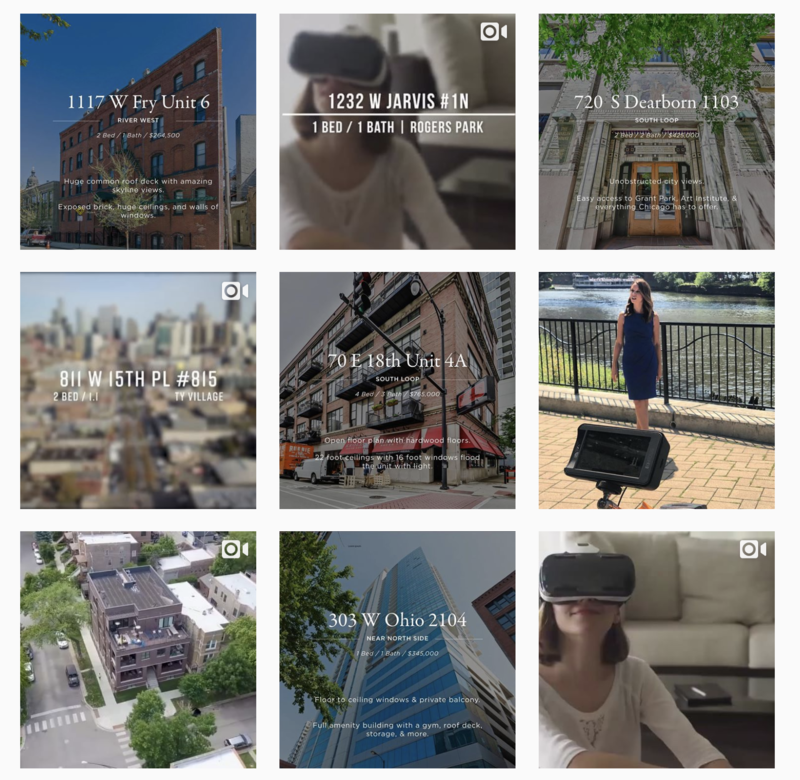 If you’re unfamiliar with Instagram and how it can help businesses, think of it as an interactive portfolio that can visually showcase your listings, projects and accomplishments. It’s the perfect place to upload photos or videos of your listings. If you’re only posting photos to your MLS listing or company website, then there’s a good chance potential buyers will not be engaging with these pages on a regular basis. But with Instagram, your newest posts will appear in the news feed the next time a follower logs on to Instagram. With an Instagram Business account, you will also get access to Instagram Insights. These insights show such data as visitor traffic, clicks and user demographics. This is a feature not offered to general accounts, and can help you determine which posts are most popular, what time(s) of day are best to post and if you’re reaching your target audiences. If you’re currently without an Instagram account, you will need to set one up. You must download the app directly to your phone using Google Play, the Apple app store or the Windows app store, depending on which mobile device you use. Simply head to your app store, type “Instagram” in the search field and begin downloading. After installing the Instagram app on your phone, you must first create a bio. This is going to be the first impression many potential clients have of you and your business. You’ll need to make sure that it is short, compelling and informative. Make sure you include such details as your location/area, contact information, link to your website and your areas of expertise. Feel free to use this example by substituting your own details. A professional photo is also key. This will help display trustworthiness to followers and make your profile more personable. This photo should have high resolution and convey a professional image. Example: Izabela Sloma (@SlomaRealEstate), senior vice president of sales at Jameson Sotheby’s International Realty, has an excellent bio and professional, high-quality photo. Her bio sums up her role, her career aspirations, and includes a website where you can learn more about her and her causes. Just like with your professional website and promotional materials, your Instagram page must be consistent with your brand. You’ll want to come across as reliable, well connected, knowledgeable and capable. Remember, this page will be a visual sales pitch for potential clients. All photos should be clear and high resolution. When posting images and videos of new listings, remember to include details about the home and your contact information in the caption. If your post catches the eye of a potential client, they’ll want to know further details about the home and how to get in touch with you. Example: @MattLaricyGroup does a great job of highlighting recent successful sales and new listings in a way that is visually engaging and consistent with his brand. The ultimate goal is to grow your audience and utilize Instagram to get your listings and professional brand in front of potential clients. That can’t be accomplished if you aren’t active on Instagram. You need to stay active by posting multiple times per week. Now that you’ve built your Instagram page and planned out your first few posts, you’re ready to start Instagramming! Remember, building a large following won’t happen overnight. You need to stay consistent. To learn more about marketing yourself, sign up for AgentEDU and receive a free seven-day trial to check out our eight-course Advertising track.